What is the difference between hypertrophic scarring and keloids? Basically, hypertrophic scarring are visible and elevated scars that does not grow beyond the original wound, whereas keloids are raised scars that grows beyond the original wound and surrounding tissues. Itchiness is a common problem for hypertrophic scarring and keloids. People who tend to get keloids are of Asians and Africans descendants. 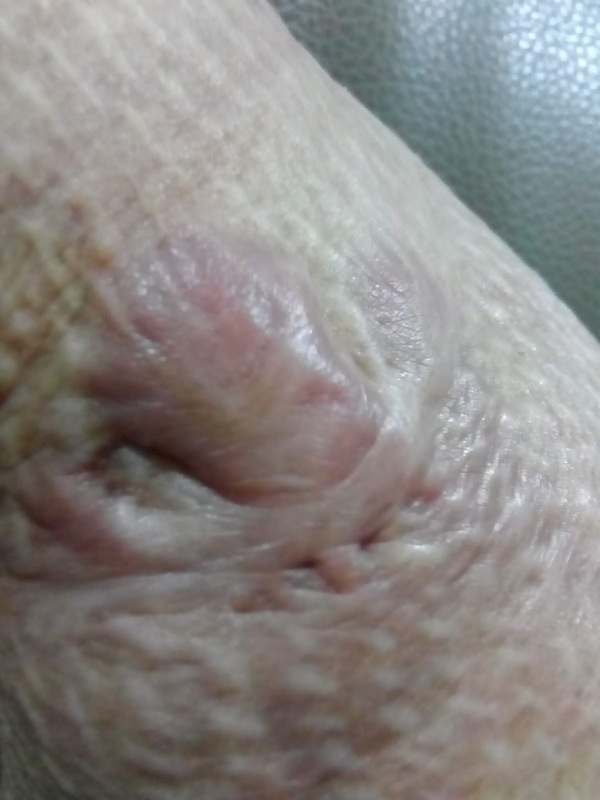 When keloids become too big, it may restrict movements at certain joint areas and turn into contractures. This may impede mobility or restrict the range of movement. During my stay at the burn ward, I kept hearing horror stories of contractures from the nurses that I began to worry that the same would happen to me. Despite the assurance from the plastic doctor that it is unlikely to happen, I was still worried as I have seen the effect on those who suffered from it. Do scars or keloids gets lighter in time to come? I have spoken to some burn survivors and those who have been burn years ago, it seems there are improvement on the colour of their scars. As for myself, I have hypertrophic scarring and keloids all over my body. Even though my scars are less reddish now, I would probably have to wait for a few more years to see if there is any other improvement. The best way to flatten the hypertrophic scarring and keloids is to wear pressure garments and apply silicone gel or silicone gel sheet to soften the keloids. There are various products and brands in the market for silicone gel and silicone scar sheet. They can be quite expensive, especially when you have a wide area to cover. Does silicone scar sheet and silicone gel works? 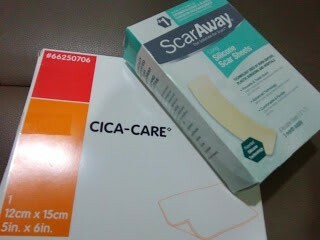 So far, they do help to soften scars. I don't expect miracles to happen with any products as I have scars all over my body. The best is to keep on experimenting to find suitable products. As long as the keloids stays soft, doesn’t grow bigger or too hard and causes restriction on range of movement, that would be good enough for me. Most of the burn patients are required to wear compression garment when the wounds are sufficiently healed. If possible for 23 hours per day. I have a love and hate relationship with my compression garments. I was informed that they are made from lycra. Initially, they can be really tight and difficult to put on. It does take time to get used to them. When I was first fitted with my compression garment by the occupational therapist, I was horrified when my arms and legs turn purplish blue. At that time, my blood circulation was quite bad due to immobility. We had to remove the compression garments and the occupational therapist had to modify them, to make them slightly loose. Sometimes I would alternate and wear a different type of compression cloth which is softer and less tight, especially when I don’t feel like struggling with my compression garment for the day. One of the brand that I use is Tubigrip. Depending on the length that you want it to be, it can be cut accordingly. This product is easily available at the pharmacy. It is indeed challenging to live with hypertrophic scarring and keloids especially when you live in a society that is constantly bombarded with commercials and mass media that emphasised on beauty and perfection. If a normal person feels self conscious, what more a person with hypertrophic scarring and keloids? From my experience, I have learnt that self acceptance and loving myself is the key to living with this condition.